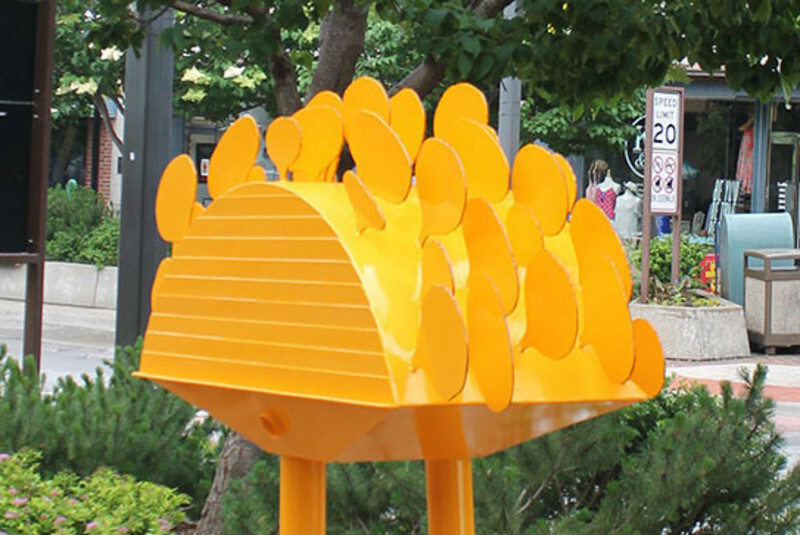 A great way to enjoy Downtown Lawrence is by taking a walking tour of the Outdoor Downtown Sculpture Exhibit. This year's juried selection of eight artworks ranges from organic to conceptual and everything in between. Some of the artworks might challenge the viewer in unexpected ways and others can be enjoyed purely for their aesthetic qualities.